Global Gang is our after school environment club. The club will run on Thursdays during Spring term. The school is linked with an Eco Club at our partner school in Delhi. - Send my friend to school - a global project encouraging people to think about children who can't go to school. 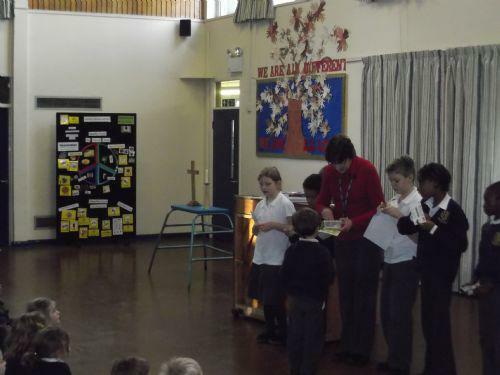 The Global Gang recently led an assembly on recycling in school. They have now ensured that each classroom has a green recycling bin for paper and card, and that some Shared Areas and cloakrooms have can recycling bins. Please speak to Mrs Fishwick or Mr Richards if you have any queries about Global Gang.